Kids will enjoy Pirate Playground and Seaside Park. When in Amelia Island, make a side trip to see Jekyll Island Historic District in Jekyll Island, approximately 1h 10 min away. 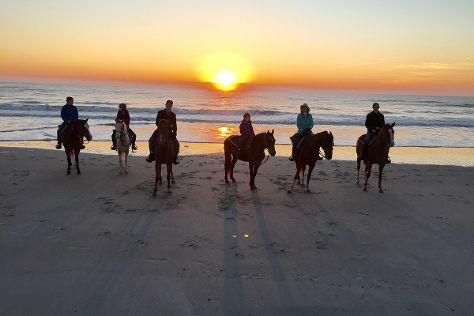 There's lots more to do: trot along with Amelia Island Horseback Riding, contemplate the long history of Fort Clinch State Park, play a few rounds at Island Falls Golf, and enjoy the sand and surf at American Beach. To find maps, reviews, where to stay, and more tourist information, use the Amelia Island trip planner . In April, daytime highs in Amelia Island are 78°F, while nighttime lows are 63°F. Finish your sightseeing early on the 25th (Thu) so you can travel back home.